Designed by Paul Thiry in 1962, the Arena was originally the Washington State Pavilion for the Seattle World’s Fair. 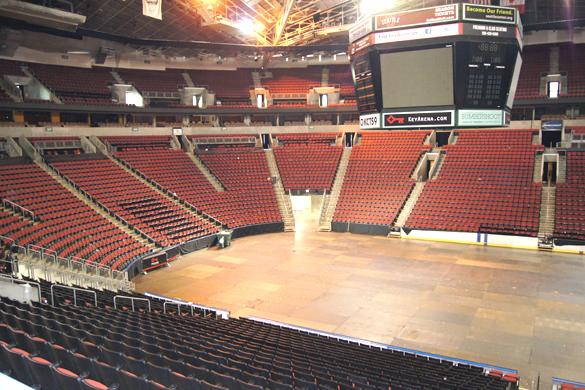 After 30 years of sporting events and concerts the Key Arena was rebuilt from the ground up in 1995 in an attempt at modernizing the facility and amenities. Schemata is worked with the City of Seattle to bring the Key Arena up to ADA conformance. The project scope included retrofitting of seven seating sections in order to accommodate a row of accessible seating. Existing seating rows were removed in order to extend the accessible seating out to improve sight lines. Remaining seating in the sections were retrofitted to improve sightlines given the changing conditions.